Solagen offer a wide range of sensors, including pedestrian detectors, to provide drivers with advanced warning that a crossing point may be in use; rain and ice sensors to automatically activate warning signs at lower speeds, if the road conditions are likely to be slippery; and flood sensors to provide drivers with advanced notice of a hazard, allowing alternative routes to be used. Solagen’s sensor options and road safety signs can be integrated together for new orders or existing signs. All Sensor products offer a variety of modes to suit various applications that require a road safety solution. All Sensors come with electronics, leads and fixings for mounting on an 89mm/168mm post as standard. Solagen can offer optional post adaption kit to fit an alternative size post including passively safe and Lattix posts. 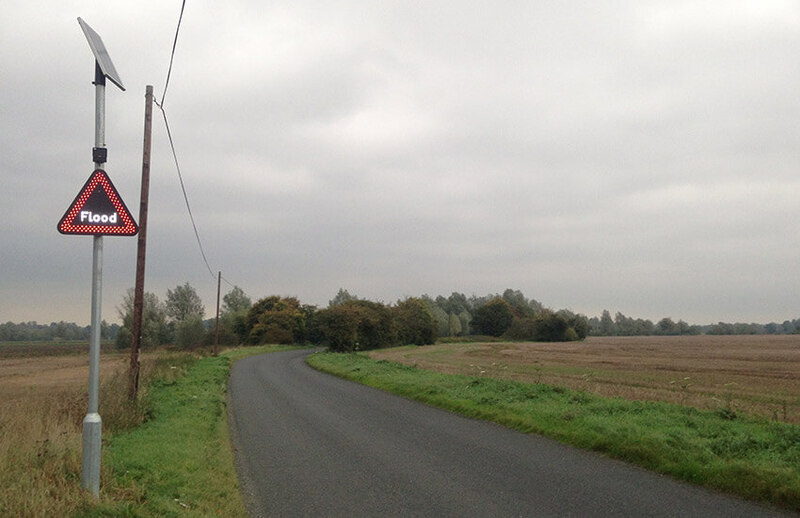 Alternative mountings can be provided, to allow simple fitting of the sensors to any standard size sign post. These include JEROL and Lattix posts. Please contact Solagen for further information. Solagen’s Flood Sensors work with our SAS sign range. A pole mounted sensor is positioned at a desired detection point, and triggered by detecting the presence of water for a pre-determined length of time. Once a positive detection has been made, the associated sign(s) are automatically controlled by the sensor. As every location has different considerations, Solagen will work with you, to ensure a tailored solution is provided to mitigate the hazard. 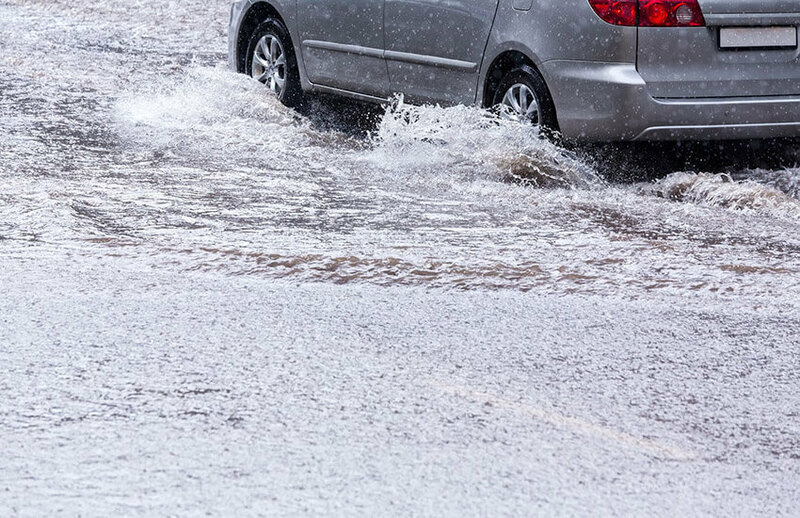 The Flood Sensor can be connected to its associated SAS signs in one of three ways: via cable, RF link, or SMS messaging. SMS messaging removes any restriction on distance between the sensor and the signs, allowing the signs to be mounted miles from the sensor if desired, so long as an SMS service is available in that location. The Pedestrian Detector combined with Solagen’s SAS signs allows road users to be forewarned of potential moving hazards in the vicinity of the crossing. The Pedestrian Detector is designed to be positioned at the pedestrian crossing. Once the sensor has detected a moving object in the detection space and the sign’s radar has detected a vehicle travelling over the selected speed threshold, the sign will then illuminate. In every community there are busy pedestrian crossing points. In many of these locations, full traffic systems are impractical or unaffordable. Solagen’s cost effective Pedestrian Detector can be installed independently of a complete traffic-light setup to improve pedestrian safety. 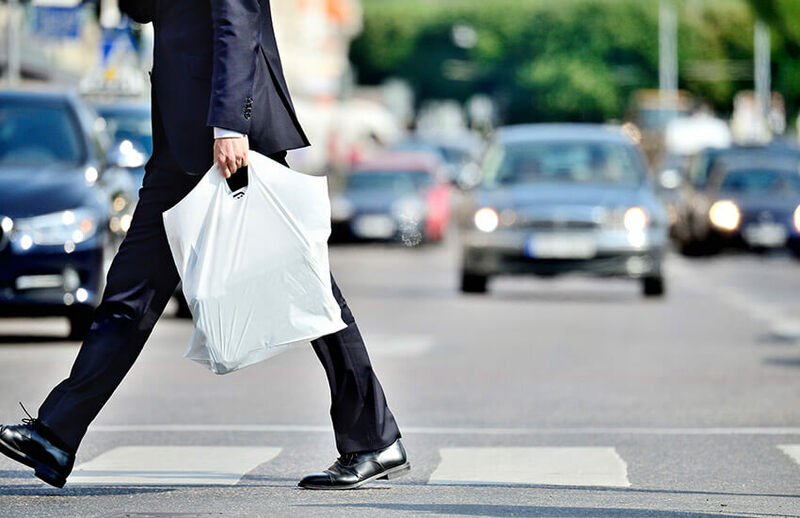 The Pedestrian Detector can be used in conjunction with Solagen’s highly visible SAS sign face options, such as type 544 warning triangles, and are connected by RF link. 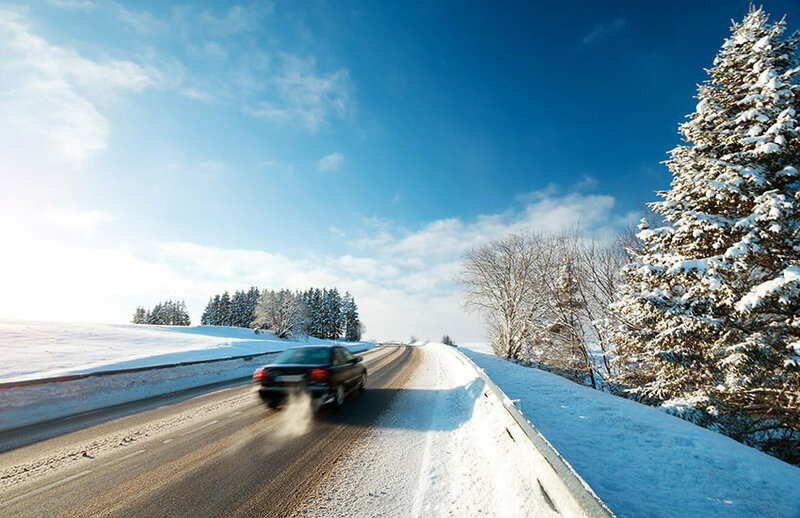 Solagen’s Ice Sensor assesses the risk of ice formation on the road, by monitoring ambient air temperature. This add-on feature can be used to alert drivers to a risk of ice, or modify warning sign speed thresholds for bad bends, allowing motorists to adjust their speed and driving style accordingly. The Ice sensor can be used in conjunction with Solagen’s highly visible SAS sign face options such as the type 554.2 or 512 warning triangles. The Rain Sensor is a fully adjustable system which allows for sign face and speed threshold change when the sensor detects rain. 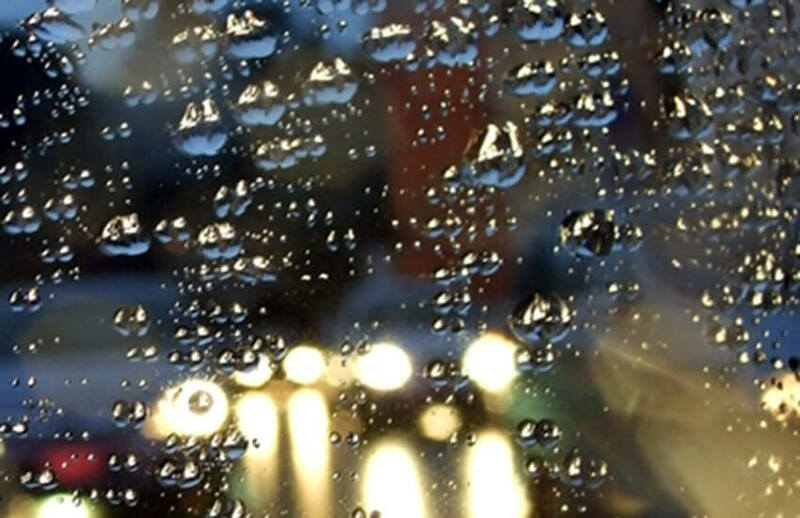 With multiple set points for adjustable rain sensitivity as well as selectable on and off delay timers, the sensor may be tailored to your exact requirement making it the ideal product to ensure drivers are informed that the road surface may have become slippery when wet! The rain sensor can be used in conjunction with Solagen’s highly visible SAS sign face options such as type 557 or 512 warning triangles. Solagen’s bike sensor integrates a bicycle detection system with Solagen’s solar powered signs. For the customer this means a complete working system with no on-going power costs, which often makes these systems unfeasible. Solagen’s aim is to introduce engineering measures to make cyclists aware of potential hazards and consequently making pathways and roads safer for all users. Piezoelectric Sensor: This underground piezoelectric bike sensor uses a piezoelectric effect to measure various physical values including acceleration, pressure, or force. The sensor allows Solagen to offer a solar powered bicycle-only detection product. Unlike other bicycle sensors, this sensor does not rely on the detection of the metal on bikes. 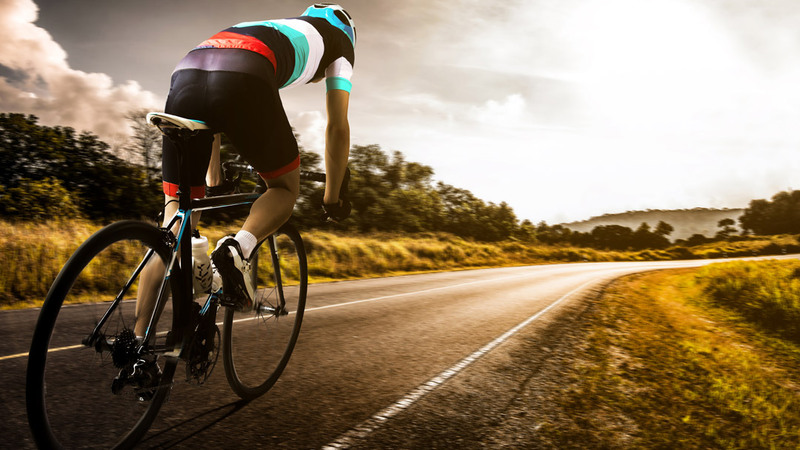 Piezoelectric sensors can detect bicycles that are made from non-metallic materials such as carbon-fibre. They can also be installed at locations with would otherwise not have been viable – such as next to a metal objects, for example bridges or railway tracks. Radar detections: Solagen’s radar detector can be positioned to activate on vehicles travelling over 16mph. The radar detector can be used on the same post or can be set a maximum length of 100m away from the sign using RF technology. The Bicycle Sensor can be used in conjunction with Solagen’s highly visible SAS sign face options such as bespoke warning signs for cyclists, or standard signs such as the type 950 warning triangle for other road users. The radar cannot distinguish between cyclists and other road user, so may be of most use on cycle paths; for example, where a cycle route is about to meeting with a road or pedestrian pathway. Our Innovation team is also on hand to provide solutions for any other sign requirements you may have, allowing you to create specific road safety systems that work for you. Please see Innovation Service page for more details. If you are interested is any further information on Solagen’s Sensor range, please fill in the form below and we will get back to you as soon as possible.